Our facilities are located within Sandyford Business District, just off exit 13 on the M50. We have two state-of-the-art training rooms available to deliver our unique brand of courses. Our main training room comfortably seats 18-20 people, and our second room seats 12, for more focused sessions. 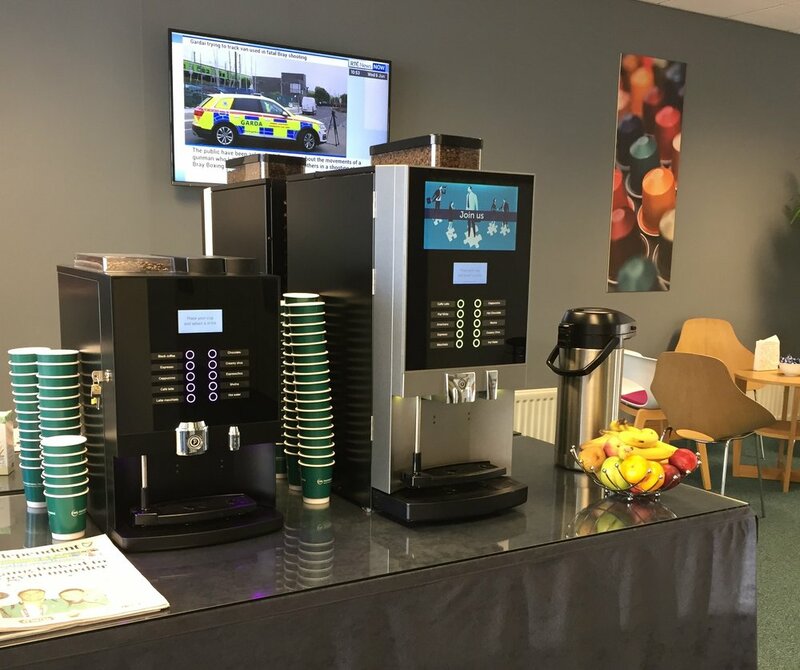 During the morning and throughout the breaks, we provide a range of teas & coffee, as well as fresh fruit, breakfast bars, including gluten free options. We provide daily newspapers as well as constant news updates on a large flatscreen in our break area. For lunch, provide a range of freshly made sandwiches and wraps for those who require a light lunch. Alternatively you can avail of the local food stores and coffee shops opposite the training centre for hot food or alternative lunch options. There is no parking directly at our building, however there are several parking options all around the building. There is on-street pay-and-display options one minute from the building, there is also a Dunnes Stores car-park behind our building (€4 for the day), as well as other parking options nearby. If travelling by public transport, the Luas Green Line (Stillorgan Stop) will leave you 5 minutes away. Alternatively the no.11 bus from the city centre will leave you right outside our facilities. Please CLICK HERE for more information on directions, parking, and public transport options.